Lack of focus wastes energy, squanders resources, and defeats hope. Focus, on the other hand, eliminates the superfluous in order to grasp the essential. Dr. David Vik (Doc), author of, “The Culture Secret,” helped build the world renowned culture of Zappos. During our conversation he said leaders tried to replicate Zappos’ culture in their own businesses, but often failed. Trying to replicate another organization’s culture is like putting decorations on a Christmas tree. It’s pretty at first and garbage in the end. Doc says, “There are two parts to any Culture. The first is structure.” Culture development fails when it’s all decorations but no structure. Vision: What the organization is doing and wants to do. Purpose: Why the organization is doing what it does. Business Model: How vision is accomplished. Wow Factors: What makes the organization stand out? Values: What the company and employees care about. Doc explained failure to develop the five structures dooms culture development. It’s hanging pretty decorations on shabby trees. Building organizational culture begins with structures not decorations. Check out, “The Culture Secret,” written by a guy who helped develop the best culture on the planet. What factors develop or transform organizational culture? All 5 points of behavioral expression to culture are very powerful. Any organization should have these points. They should know their context before applying these factors. Replication of strategy has higher chance of failure because of its context. Strategy and culture are context specific, so replication might succeed when context and people belief are similar. I believe that people common belief is the binding factor in creating culture. And this binding factor makes habits, behaviour and decision common and mutual. Belief is such a wonderful fabric in the organization that it can do anything extraordinary. Leaders create a platform to shape people belief. They nurture it, strengthen it and respect it. They value each custom, norms and rituals. This makes people feel respected and hence integrate everyone belief into organization culture. To do this, leader has to have empathy, humility and integrity. Thanks Dan, for me right now number one issue on my “most important issue at work” list. This post very helpful to me. Excellent post, Dan! I know far too many leaders who dismiss “Vision, Mission, Values” Statements. They’re cookie-cutter sentiments from an Internet quote cache. Creating genuine cultures means enumerating YOUR values, pulling YOUR vision out of YOUR heart, and recognizing YOUR purpose. When an organization is truly united behind these powerful identifiers, individuals become an unstoppable team. Great insights, Dan. The concept of focus is a powerful one. It helps you define whats important and create the future of your business. How leaders protect their culture also becomes critical, since this is where the tough conversations and tough decisions often come into play. Having the right organizational practices in place will support leaders and ultimately support your culture. Its one more reminder that real leadership is hard work…and worth every second of it! Great perspective, thanks. 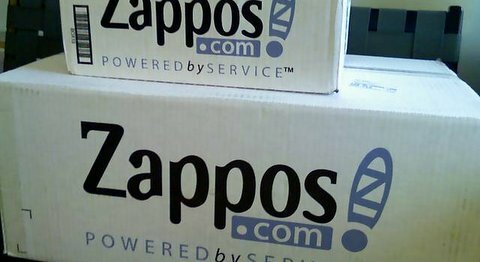 The Zappos culture is unique and so it can’t be copied, but the principles can be understood and used as a framework for success elsewhere. The issue for Zappos is the sustainability of Tony Hsieh. How do you create a succession plan that continues the unique set of beliefs, values and actions that he represents? I interviewed Tony a few years ago – I forgot to ask him this question! Change takes leadership to make a cultural shift. There are lots of growing pains and fears that show up because we are so used to doing the same thing the same way day after day. When you keeping doing the same thing the same way, you’ll get the same result. Experimentation can be fun and innovative. Kind of letting your hair down. if you get the culture right, anything’s possible, to get the culture “right” you have to understand the values you stand for, as a leader and what is important to your business. Communicate these clearly in your recruitment campaign, the people who have these values will be attracted to them. To create a culture, you do it from the start, by selecting the right people that fit well into a team. The challenge is that most people are taught that in order to be successful in interviews, they have to tell the interviewer what they want to hear. Whoever is doing your interviewing needs to be skilled enough to spot this, and deselect people that are doing that. Especially if honesty and integrity is a high value for the business and for the culture you’re creating. The “negative Nancy’s” don’t realize how much damage they do. TRUTH! And perhaps the positive Paula’s don’t realize how important they are. There is little benefit in these structures if all levels of leadership fail to act on them. For instance, continually restating “we are a blame free organisation” when a blame culture is prevailent looses trust. Leaders must embrace new business models and act out their values.